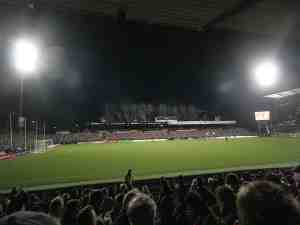 May 2010 sees the centenary of the founding of St Pauli Football Club, the club from the Reeperbahn in Hamburg. There was only one team they wanted as their opponents for the Centenary match, their great friends Glasgow Celtic. There has been a tremendous friendship between the two clubs and more importantly, the two sets of supporters, for the past 20 years. Why does this small German club have such a large place in the hearts of Celtic fans? There are main two answers available. The short crude answer favoured by cynics and Rangers supporters is that St Pauli is the club of a red light district, a fond memory for some Celts, a vivid fantasy for many more.. The longer version risking pomposity talks of the total identification of Celtic fans with the publicly declared principles which lie behind St Pauli and make the club unique in world football. The truth probably contains elements of both. Certainly many of the hundreds of fans who visit the annual St Pauli Celtic festival claim in that particularly West of Scotland self-deprecatory manner that “We are only here for the beer” and the festivals are more about party and piss-up than political philosophy. Yet the numbers who go the party and the piss-up are numbered in their hundreds, whereas the numbers of Celtic fans that make the identification with St Pauli and its political philosophy are numbered in their tens of thousands. And as Celtic fans regularly prove on their European travels, they can enjoy parties and piss-ups everywhere and anywhere, it is only with St Pauli that there is the added dimension of political identification. St Pauli fans take their politics and to a lesser extent their football very seriously but they never forget that both can be fun and they grab any excuse for a party. There have been legendary all-night parties to celebrate promotions won, and relegations avoided but there is a constant stream of parties celebrating every game won, every game drawn and every game lost with honour. That shared love of partying is another close bond between the two sets of supporters. The St Pauli football club has not always been synonymous with political positions. For the first 80 years of its life it was a small unsuccessful club with very little support within Hamburg far less outwith its boundaries. They were as boring as their brown and white strip might imply. 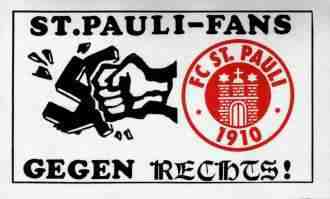 St Pauli spent most of these 80 years in the Germany North Regional leagues with only one Semi-Final place, in 1948, to show for its efforts. In 1977 St Pauli finally made it to the national Bundesliga only to disappear back into regional backwaters after one inglorious season. In the early 1980s they consolidated themselves in the new national Bundesliga Second Division and began the process of creating a political as well as a football identity. Their supporters, drawn from the St Pauli district famous for squatters, political activists and anarchists adopted a pirate flag, with skull and crossbones and cultivated an image of themselves as rebellious and anti-establishment. This process became more acute by the late 1980s with St Pauli’s promotion to the Bundesliga in 1988. At that time German football was experiencing considerable problems with neo-Nazis far right fanatics who were disfiguring many German football games with their Nazi salutes and their racist chants against non-German players particularly blacks and Turks. There were also regular attacks on supporters of these races. Under pressure from St Pauli fans the club came out publicly and committed itself strongly against Nazism and Fascism and against all forms of racism. This dual commitment was written into the constitution of the club but more importantly was implemented rigorously by club stewards and supporters. Attendances increased to the 20,000 mark and anti-fascist supporters within Germany and around the world began giving the club their support. 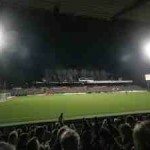 Anti-sexism was soon added, with men’s magazines ground advertising hoardings being cancelled for inappropriate images of women, and Anti-homophobia became the fourth strand of the St Pauli creed. Celtic supporters were quick to support these political stances of St Pauli and in turn the St Pauli supporters became impressed with the behaviour and beliefs of the Celtic supporters that came to support them. There were regular exchange visits and St Pauli shirts and banners became as regular a sight at Celtic Park as green and white shirts were at the Millerntor Stadium in Hamburg. St Pauli fans started organising an annual Celtic festival and over the years this has developed into one of the best parties available to Celtic supporters wanting a European experience. St Pauli Club and supporters have converted their political philosophy into action with the “Water for life St Pauli” campaign which has raised considerable sums for water dispensers for Cuban schools. All this political identification and effort consolidated a larger fan base for St Pauli within Hamburg and their crowds reflect this seldom dropping much below 20,000. In addition they have become the favoured team or second team for many German fans. It has been estimated that as many as 10 million Germans support or positively identify with St Pauli. 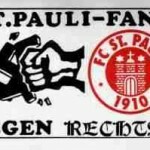 The public fight of St Pauli against fascism/Nazism, racism, sexism and homophobia in football has attracted support and supporters around the world. Between Germany and abroad there are over 200 St Pauli Supporters Club although the lax rules mean many of them are small groupings of politically like-minded people. But it is with Celtic and their supporters that the most positive links have been formed so Celtic were the only real choice as opponents for the Centenary match arranged for 18th May in the St Pauli stadium, the Millerntor. Unfortunately the St Pauli success in promoting clear political values and beliefs was not matched by success in creating a successful football team. The spell in the Bundesliga from 1988 lasted only three seasons as was followed by most of the 1990s spent in the Second Division. The last season St Pauli spent in the Bundesliga was in 2001-2002 and this campaign ended with the club relegated and bankrupt. These financial problems led directly to a further slide down into the third level, the semi professional Oberliga Nord. 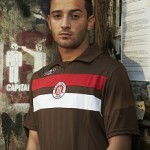 These financial troubles generated the “Save St Pauli” campaign and over 100,000 t-shirts with that slogan were sold. Many Celtic supporters opted inside for the related “Drink for St Pauli” t-shirts. Although the club avoided being wound up, they had to endure 4 miserable years at this lower level but finally in 2007 promotion back to Bundesliga 2 was achieved. The first two seasons back were spent in mid-table mediocrity but the team still attracted the largest average crowds in Bundesliga 2 and often pulled in more supporters than many Bundesliga clubs. This long period of misfortune attracted a particularly unpleasant variety of the German speciality Schadenfreude on the part of many Germans and others round the world who disapprove of the St Pauli public sentiments. They have delighted in their poor performance in recent years languishing in semi-professional regionalised German Third Division and have seen it as punishment for their presumption. This has been a classic example of establishment conservative morality that sees declaring left wing values as inappropriately bringing politics into football while the norm of enacting right wing ones is accepted as non-political reality. Rangers fans have failed the moral and intellectual challenge posed by St Pauli and their public declaration of clear and positive principles. On the primitive basis of “My enemy’s friends are my enemies” they have taken against St Pauli for their Celtic connection and by doing so have identified with some of the most rancid elements in European society. By publicly rejecting St Pauli and identifying instead with rich elitist Hamburg SV, with their noisy element of neo Nazi supporters, Rangers supporters have chosen to align themselves with purveyors of fascism, racism, sexism and homophobia. The two recent Europa League games involving Celtic and Hamburg SV highlighted aspects of these unpalatable developments. But enough of the Club, what of the team? 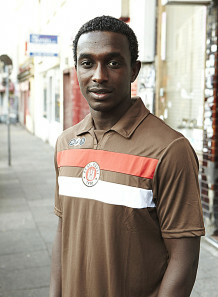 This season St Pauli FC have finally got their act together and appear on course for promotion back to the Bundesliga. They have been workman like and effective rather than inspired with their attacking double act of Naki and Tayki providing most of the flair. Sunday 28th March 2010 saw them take a major step towards rejoining the Bundesliga. In Germany the two tops teams in Bundesliga 2 get automatic promotion while the third team have to play home and way against the third bottom team in the Bundesliga (which this season looks likely to Nurnberg, Freiburg or Hannover). St Pauli started the 28th round in 3rd place, 6 points behind leaders Kaiserlautern who look certain to gain automatic promotion, and 1 point behind 2nd placed Augsburg. They were 7 points ahead of 4th placed Fortuna Dusseldorf.. 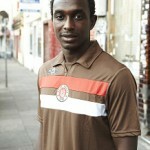 In a rather rugged and tense game St Pauli finally managed to triumph over old adversaries Hansa Rostock by 2-0. Augsburg were hammered 4-0 so St Pauli took over 2nd place with a 2 point advantage over Augsburg and Dusseldorf a full 9 points adrift in 4th. The next two weeks could prove crucial to their hopes as on 5th April they are away to Dusseldorf then on 12th play Augsburg in Hamburg. 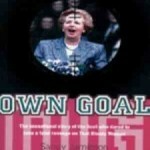 GGW will report regularly on the progress towards promotion. Since involvement in the playoff games could compromise the Centenary match fixed for three 18th May, let us hope that automatic promotion is assured before then and the Centenary game can be between two clubs of the top level. Unfortunately the GGW editor is not able to go to the Centenary game so GGW would welcome comments from Celtic fans planning to go, especially anyone willing to provide a guest column based on their experiences. GGW would also welcome comments from Celtic supporters as to whether their commitment to St Pauli derives from the party/piss-up or political philosophy models.